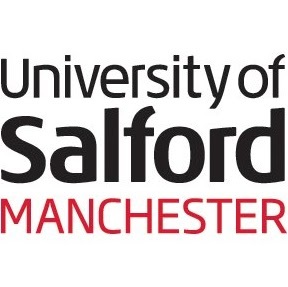 Need to send your luggage to and from Salford University? My Baggage can help! My Baggage is the No.1 student shipping company for Salford University students. We offer fast and reliable student shipping services all at a price perfect for a student budget. 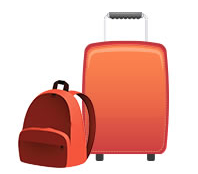 We ship luggage for thousands of students every single term. My Baggage makes getting your luggage to and from university an easy and effortless experience. For as little as £16.99, you can send a box or suitcase weighing up to 30kg to and from Salford University! Start by getting a quote on our website. Once you’ve selected your preferred service, simply proceed through to the booking system which takes just a few short moments to complete. Once you’ve booked, we’ll send you some labels to print and attach to your item being sent. After that, we’ll take care of the rest. We’ll collect your item and deliver it straight to its destination quickly and safely. Generous 30kg weight allowance per item. Full online tracking as well as SMS and email notifications. International student shipping to over 200+ countries worldwide. Easy online booking system with secure payment. Excellent customer support via phone, email and live chat. At My Baggage, we want to do all that we can to make your move to university as effortless as possible. That’s why we offer a convenient door to door service to save you from all of the hassle. Our drivers can collect luggage straight from the front door of all houses, student houses, flats or apartments and deliver it straight to your address at Salford University. If you are living in Salford University halls of residence, please ask your university where the luggage collection and drop-off point is located. Typically, this will be at a reception area or postal room. Our drivers cannot always gain access to collect from and deliver to individual rooms in students halls for security reasons – so it’s best to check this. Once you’ve made your My Baggage booking, you will be provided with full online tracking, as well as SMS and email notifications. You will be able to monitor the progress of your shipment each and every step of the way. The tracking information will then update to let you know when your luggage is out for delivery, so you’ll know exactly when to expect it. If you happen to have any questions of concerns along the way, we have an excellent customer support team who can help via phone, email and live chat. Don’t hesitate to contact us with any questions you might have! To ensure your items get to you at university as quickly as possible, we offer super fast delivery times on our shipments. We offer 1-2 day delivery within the UK and 3-4 days for international shipments. We even offer an Express service for both domestic and international shipments – so it won’t be long before your items arrive with you safe and sound. If you are an international student studying at Salford Univeristy, you can transport your luggage with My Baggage! We offer fantastic low prices and super fast delivery times on items sent overseas. My Baggage ships to over 200+ countries worldwide!